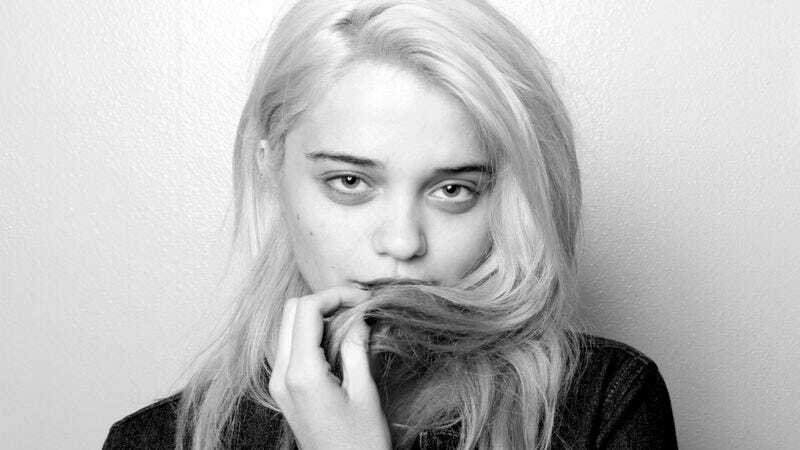 Sky Ferreira’s struggle to define her career on her own terms is well documented. After signing a major label deal as a teenager, she resisted being molded into a vapid pop tart and clashed over the direction of her music. Although she worked with A-list collaborators—among them, Ryan Tedder, Bloodshy & Avant, and Greg Kurstin—release dates for a debut album came and went, as songs were scrapped and shelved. To date, the 21-year-old has released just a handful of singles and two EPs: 2011’s slick Europop effort As If! and last year’s eclectic Ghost, which nodded to Fiona Apple, Garbage, and frothy ’80s synthpop. True to form, Ferreira’s long-awaited full-length, Night Time, My Time, is a departure from Ghost. (Its gothic overtones—highlighted by the late-’80s Cure homage “You’re Not The One” and a creepy, dirge-like title track—are an especially welcome addition.) But Night Time, My Time also feels like the first release on which Ferreira is truly engaged with the music she’s creating. Appropriately, that’s because the album is neither sonically nor lyrically one-dimensional. Softer textures—yearning vocals, bubbling electronic beats—intertwine with spurts of noise and harsher tones; this results in distorted rock with stinging metallic sheen (“Omanko,” “Christine”), girl-group/ new-wave hybrids (“I Will”), and what’s best described as electro-grunge Best Coast (“Nobody Asked Me (If I Was Okay)”). On the songwriting side, the album’s emotions are all over the place. Ferreira is optimistic about love on “Boys” because she’s found a good egg; on the Robyn-esque “Love In Stereo,” she laments an imperfect breakup; and “24 Hours” tries desperately to hang on to a perfect moment and stave off heartbreak. She’s also fantastically self-confident: “I Will” taunts those who expect her to act a certain way or be deferential, while “Nobody Asked Me (If I Was Okay)” expresses anger over, well, exactly what the title says. Yet Ferreira isn’t afraid to own her vulnerability. On the album’s most stunning song, the minimal electropop “I Blame Myself,” she acknowledges her notoriety (and, seemingly, her struggles in music), but seems to push the responsibility inward: “I blame myself for my reputation,” she sings confidently. The song’s strident tone—and the way it’s difficult to tell whether Ferreira is laying a guilt trip or actually thinks she’s at fault—is deeply affecting. Ferreira has been rebelling against being packaged as perfect for years now. Night Time, My Time succeeds in portraying her as a complex person who’s successfully discovered her own voice.